The Forest River Cherokee Arctic Wolf 265DBH8 fifth wheels have just arrived! Find luxuriously spacious interiors with two slides that offer enough sleeping locations for up to seven different people. 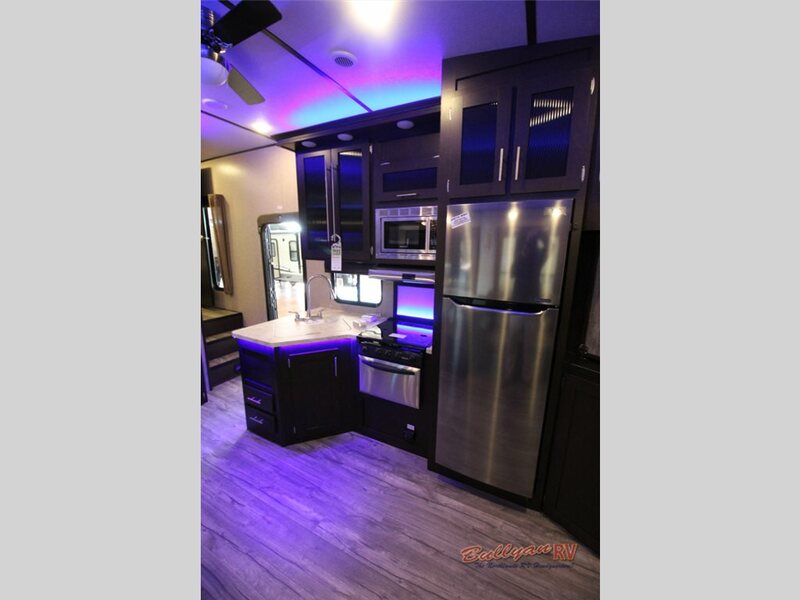 Every room of this RV will astonish you with the amenities and features it brings to the great outdoors. 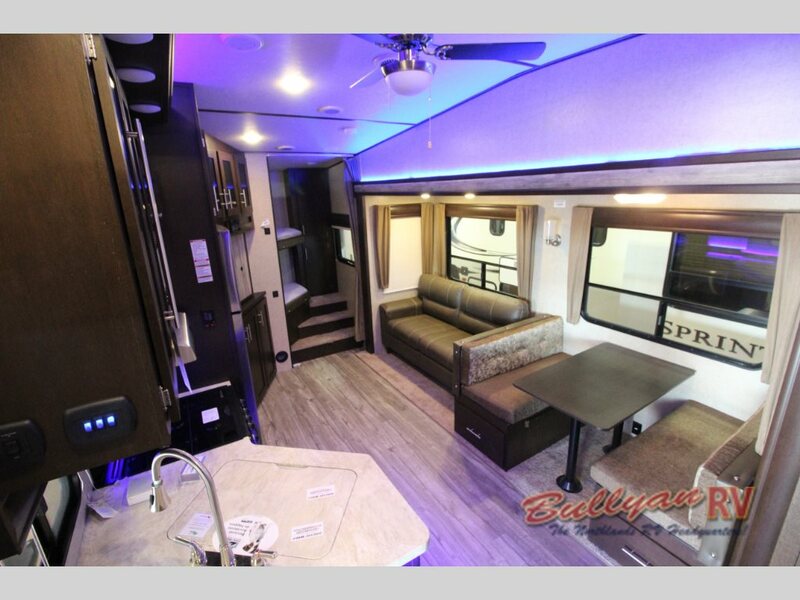 Luxury and spacious interiors make up the Forest River Cherokee Arctic Wolf 265DBH8 Fifth Wheels. Starting with the kitchen, there will be many features that you will see and some that you will not see. For example, the refrigerator will be reminiscent in style and size of your residential fridge at home, but what you will not see is the 1000 watt inverter built right in. This way if you find yourself without power, your fridge will remain cold to keep your food fresh. Stainless steel appliances and LED lighting make for a modern design. You’ll also have an outdoor kitchen to make cooking outside much easier and more fun. The bunkhouse in the rear will be a perfect place for your kids to have a space of their own. With a wardrobe for storage, steps to get up to the top bunk, and a privacy curtain, your kids can go back here and have their own vacation. While the kids are at the rear, you will have a master retreat at the front. Find a queen sized bed with a built in lift system to assist with sitting while reading or watching your favorite shows. The bathroom will have a connection directly to the master to allow for more easy access. Relax on the queen sized bed with lift system. The Forest River Cherokee Arctic Wolf 265DBH8 fifth wheel is one of the most popular campers out there, and we are glad to finally have some on our lot! 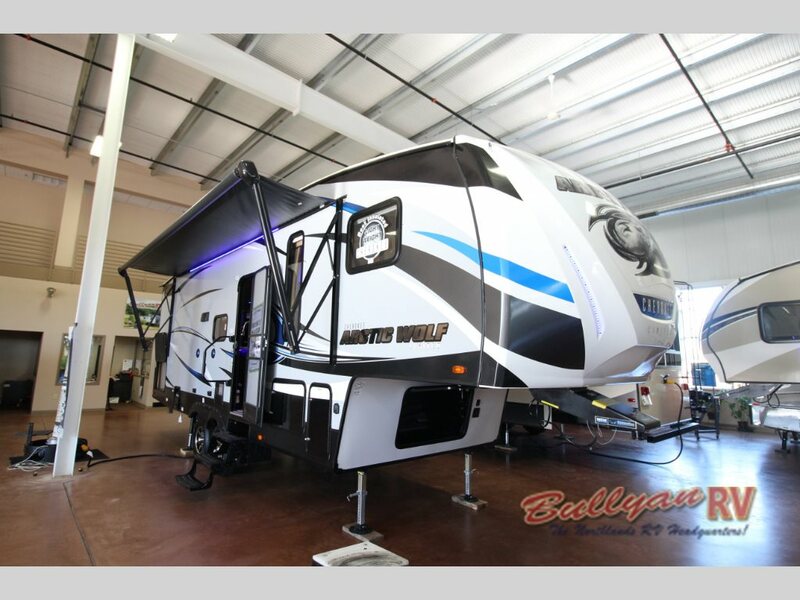 You can contact us to find out everything about this RV, or you can just stop by our location to take a look at it yourself. Then, start RVing in luxury with a camper featuring the perfect space for everyone.